Jan Warren-Findlow is an associate professor in the Department of Public Health Sciences and she serves as the MPH Program Director. Her doctoral training is in public health gerontology. Her research focuses on the areas of health disparities, aging, and psychosocial influences on health. The intersection of these 3 foci comprise the area of primary and secondary prevention of chronic disease. She works in the the broader of fields of physical activity, nutrition, tobacco, weight management, alcohol and medication adherence within the context of preventing and managing chronic disease. Her primary interest is improving chronic illness self-care and disease management in African Americans. Minority groups often experience excess morbidity, disability and mortality from chronic illness conditions. African Americans in particular often experience onset of chronic disease much earlier than Whites and thus are required to manage these chronic diseases for decades. This chronic disease burden can result in accelerated aging and a cumulative health disadvantage. More effective chronic disease self-management would potentially reduce the health disparities experienced by minority groups. Her research provides a basis for developing more culturally acceptable interventions to improve African Americans’ chronic illness self-care practices. Dr. Warren-Findlow’s research uses qualitative and quantitative methods to investigate the influences of social determinants on chronic disease self-care. 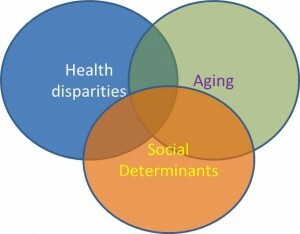 Her primary emphasis is on scale development and measurement of self-care behaviors related to cardiovascular disease. She has developed the Hypertension Self-care Activity Level Effects (H-SCALE) to assess the 6 recommended behaviors for managing high blood pressure. Dr. Warren-Findlow’s work is directly related to helping achieve the Healthy People 2020 goals of extending years of healthy life and reducing racial and ethnic health disparities.